As each group of seniors leave behind the school where they spent their last four years, picking defining details and artwork is an ongoing tradition, and Moffat County High School’s Class of 2014 is no different. The graduating class selected the school colors of blue and white as their class colors, the limestone columbine as the class flower and the Luke Bryan tune “We Run This Town” as class song. 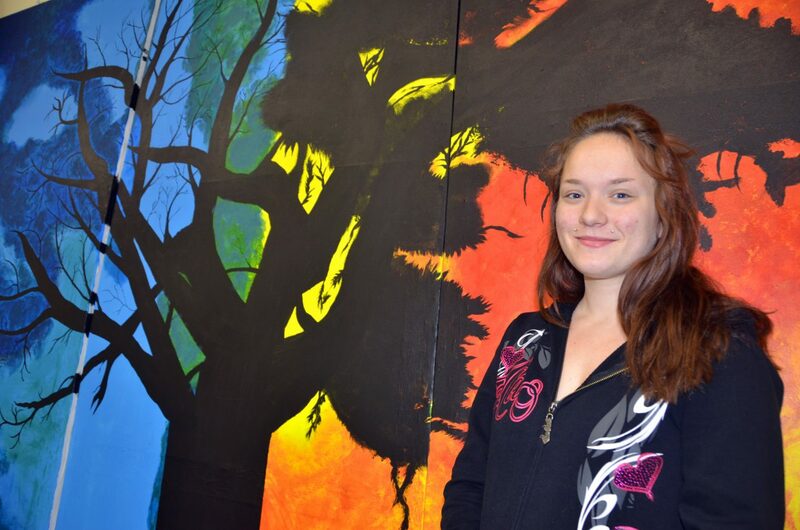 The words are also included on the class backdrop, painted by a team including Tanisha Young, Faith Christiansen, Taylor Dean, Yolibeth Molina and Sitclali Nevarez, showing an aging tree at nightfall juxtaposed with a younger tree in the sunshine, demonstrating the passage of time. For the parting gift, the class plans to refurbish the outside amphitheater on the east side of the school.